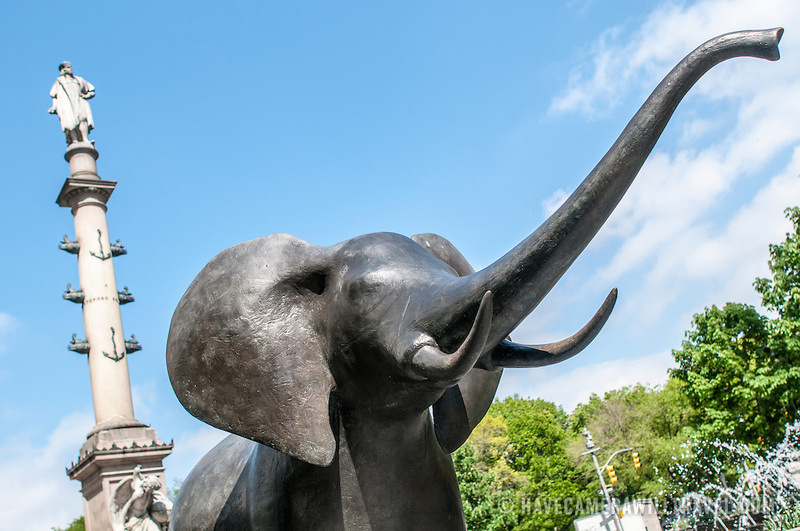 One of several life-size sculptures of elephants and other wildlife that make up a public art exhibit spread over the length of Broadway in New York. The work is by artist Peter Woytuk. In the background is the tall column upon which stands a statue of Christopher Columbus.